Business leaders can learn from the author's experiences in setting up a successful business despite setbacks. By his own admission, K.V. Subramaniam "was not schooled in biology or medicine". Yet, he was "given a mandate by Mukesh Ambani (in November 2001) to build from scratch a research-driven, relatively new biotechnology business - Reliance Life Sciences". A chemical engineer by training, Subramaniam or KVS (as he is known within Reliance) had by then spent seven years handling 'corporate business development' at Reliance. Anyone who has interacted with him can vouch for his zeal and knowledge on the subject - be it about plasma proteins, molecular medicine or regulatory matters. 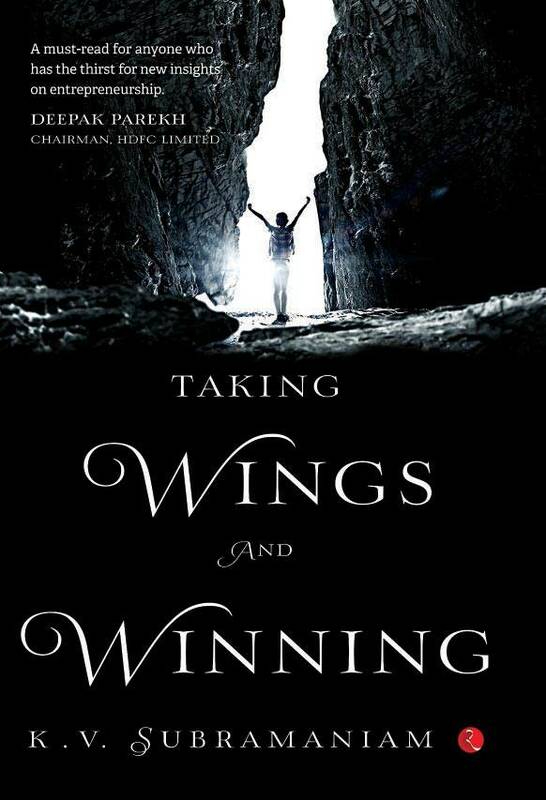 His maiden book, Taking Wings and Winning, is an informative and interesting read on how he transformed a new entity - from being "an overhead" to one that clocked its "first one hundred million dollars in revenues". The book chronicles this fascinating and, at times, painful, personal journey. It is more than just a story of how a new company got down to earning "its own bread, after an initial incubation period," and goes on to offer some key lessons on entrepreneurship and leadership. One clear takeaway is the importance of a business leader to get under the skin of his or her business, even if there are domain experts within the company to help take crucial decisions. He exemplifies how passion and deep engagement are imperative with not only his own experiences, but also that of his twin brother, K.V. Balasubramaniam, who is in the field of health vaccines. When not busy reading journals such as Nature Biotechnology or The Economist, Subramaniam is busy researching some area of medicine. Another important lesson for an entrepreneur from the book is the need to stay rooted in reality. Here is what he writes: "...we had to live with the label of being the underdogs of the group and show the rest that we were capable and not dependent on others' mercies. In a large conglomerate rooted in traditional commodity businesses, patience tends to be low.." It connects well with what he has to tell later on in the book: "It is said, 'revenues are vanity, profits are sanity and cash flows are reality.' It is relevant to every business organisation, particularly a start-up company in the capital-intensive, long-gestation period that Reliance Life Sciences is in. It is even more relevant when the company starts making profits and improves profitability." The author faced setbacks in his journey with serenity while striving to move ahead. Subramaniam's brother K.V. Srinivas met with a tragic end in 1992 after five years in coma and several surgeries following a freak accident on a soccer field. Losing their father two months later - who was constantly at Srinivas's bedside, nursing him till the very end - only added to the pain. The incident made him see from close quarters how middle-class families have to cope with medical emergencies and how some medical practitioners can be inhuman and at times even inexperienced. It is the subject matter of Subramaniam's next book. However, from an entrepreneur's perspective, there is an important lesson here on dealing with setbacks.